The radio serial born before television is back in vogue internationally, despite a plethora of visual streaming options, thanks to the likes of This American Life podcasts S-Town and Serial. Even in the mid-1970s, however, in the cathode-ray TV golden age, US author Garrison Keilor proved audiences would still plunk down their money to sit and watch a live broadcast radio show — A Prairie Home Companion, the best known feature of which was Keilor’s own witty storytelling segment, News from Lake Woebegon. In 2006, the late film director Robert Altman made a feature film inspired by the program which today is still heard by 2.6 million listeners on nearly 600 radio stations and online. 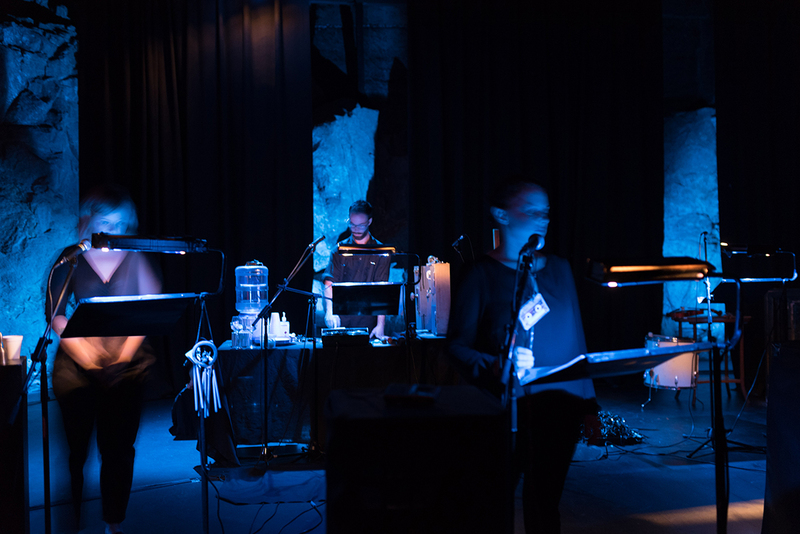 The Tasmanian-based collective Radio Gothic is turning the radio play into a live event too, in intimate settings with a wizard’s full range of technical virtuosity displayed in plain sight. 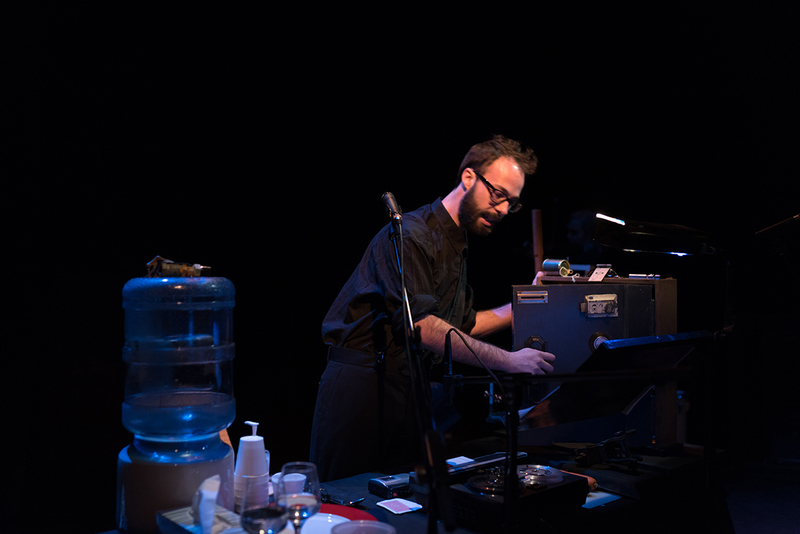 The group employs real-time foley reproductions of everyday sounds such as cigarette lighting, vegetable peeling, water pouring, glass tinkling and cutlery smashing to the floor, combined with sampling of atmosphere and live performance playback variously using analogue means — including reel-to-reel tape players — and digital software on laptop. Each stationed at lecterns, the performers also contribute sounds. Episode 2: The Hanniford Tapes, follows on from last year’s precursor, The Pit, by Briony Kidd, which also took on the shadowy psychological cloak of Dark Mofo. Written by Carrie McLean, who also performs in the work, it is the story of a psychiatrist, Ann (McLean), who becomes obsessed with a murder allegedly committed by her client, Laura (Katie Robertson). An inner voice gradually consumes Ann, making her suspicious of the behaviour of her husband (Craig Irons) with their child (also played by Robertson). The action is set in 1986, an era when cassette tapes have not yet fully given way to the compact disc: tape unspools before the audience much like Ann’s own mind unravelling. The three performers stand at their lecterns directly facing the audience, rarely casting glances at one another. 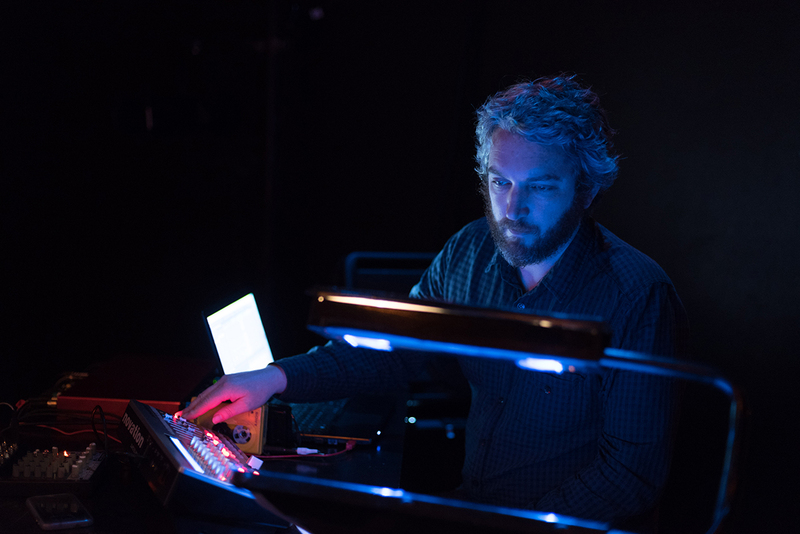 (A fourth person on stage, sound designer Heath Brown, sits at an angle at his desk, facing them all.) I found this approach by director Briony Kidd sometimes disadvantageous, sometimes illuminating. I’d like to have seen the performers work off one another more, to complement the vantage we in the audience have in seeing their faces front on. The great impact, though, is that we invest more time engaging our hearing, rather than losing ourselves in the empathetic non-verbal engagement between performers. With the performers’ eyes cast down, largely reading from their scripts, I’d also have liked them to know their lines, but of course this is the domain of the old-school radio play, in which scripts were read, revised, performed and improvised on at the last minute. 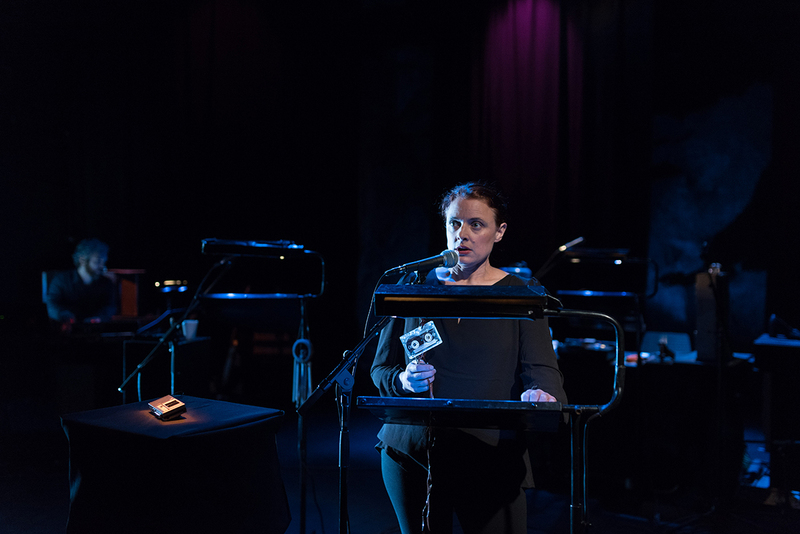 There are in The Hanniford Tapes some very clever postmodern plays on the slipperiness of what we are witnessing and hearing: conversations played back, rewound, echoed and slowed down even as performers speak. Can we rely on everything we’ve experienced — analogue and digital, real and synthesised? Boundaries collapse and narrative reliability can only be questioned. A possible murderer cannot recall whether she was holding the knife and our own assessment of the evidence defies certainty. The Hanniford Tapes was presented as a double-bill with Episode 3: The Illustrated Girl, written by Alison Mann and featuring the same performers, exploring the tale of a woman who wakes up to find a sinister tattoo has appeared on her hand. Interested in the connections between art forms and sometimes puzzled by the understatement of the importance of arts in Australian life, Steve Dow is a Melbourne-born, Sydney-based writer across visual arts, stage, screen and music, who also contributes to The Saturday Paper, Guardian Australia, The Australian Financial Review, Art Guide Australia, The Monthly and Limelight magazine.